If you have any questions about the LIONWIND information page below please contact us. Feadship completed the building motor yacht LIONWIND in 1983. The yacht can be categorised as having been built country of the Netherlands. LIONWIND had yacht design and naval architecture compiled by De Voogt Naval Architects and Bannenberg Designs Ltd and De Voogt Naval Architects. This superyacht LIONWIND can sleep overnight the number of 8 guests aboard together with around 9 operating crew. 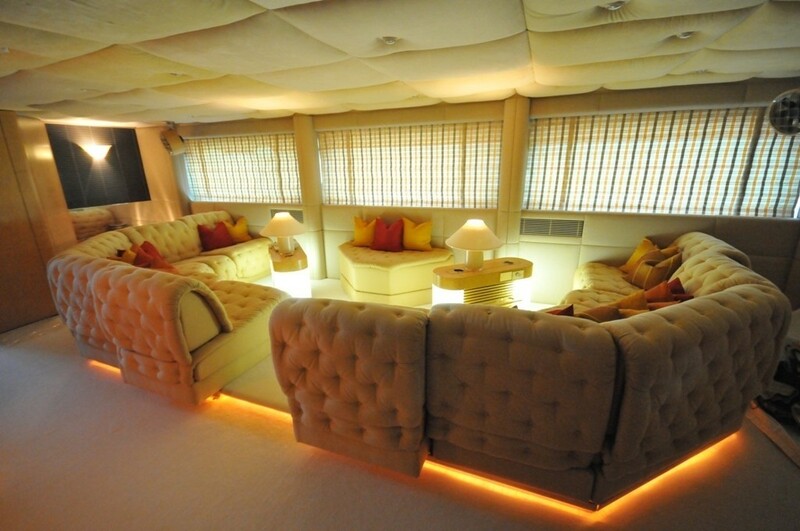 Ready for launch for 1983 her interior decoration illustrates the yachting ideals in the designing of Bannenberg Designs Ltd.
De Voogt Naval Architects was the naval architecture company involved in the professional superyacht design work for LIONWIND. 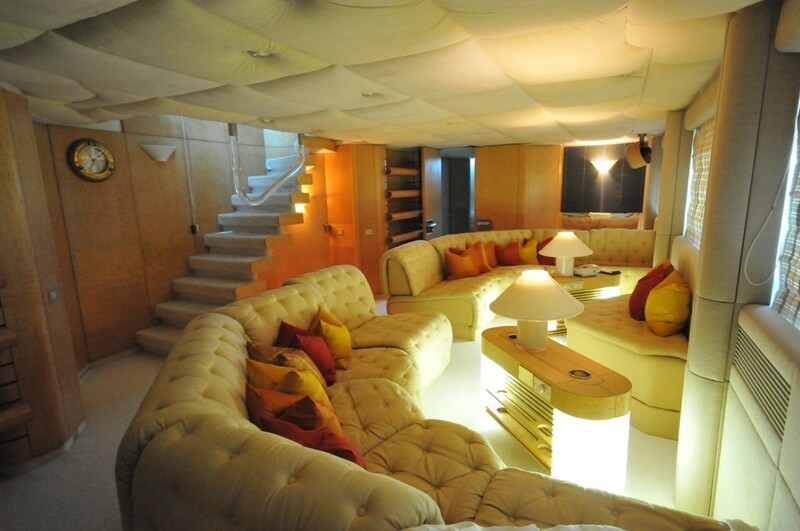 Also the company De Voogt Naval Architects and Bannenberg Designs Ltd skillfully collaborated on this project. 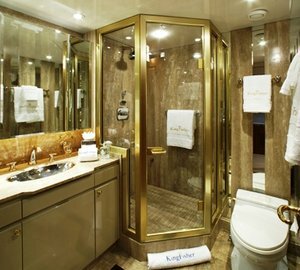 Interior designer Bannenberg Designs Ltd was employed for the overall interior ambience. the Netherlands is the country that The Feadship De Vries Shipyard constructed their new build motor yacht in. After the official launch in 1983 in Aalsmeer she was then released to the proud new owner after sea trials. A fairly large proportion is brought about with a maximum beam (width) of 8.41 metres / 27.6 feet. With a 2.5m (8.2ft) draught (maximum depth) she is reasonably shallow. The material aluminium was used in the building of the hull of the motor yacht. Her superstructure over the hull is created with the use of aluminium. Over the deck of LIONWIND she is 44.8 (147 ft) in length. In 2009 extra refit work and updating was in addition finished. The 16V 538 TB82 engine installed in the motor yacht is made by MTU. For propulsion LIONWIND has twin screw propellers. The engine of the yacht gives 2700 horse power (or 1987 kilowatts). She is equiped with 2 engines. The sum output for the boat is thus 5400 HP or 3974 KW. As for stabalisers she was supplied with Vosper. The bow thrusters are Skeen. 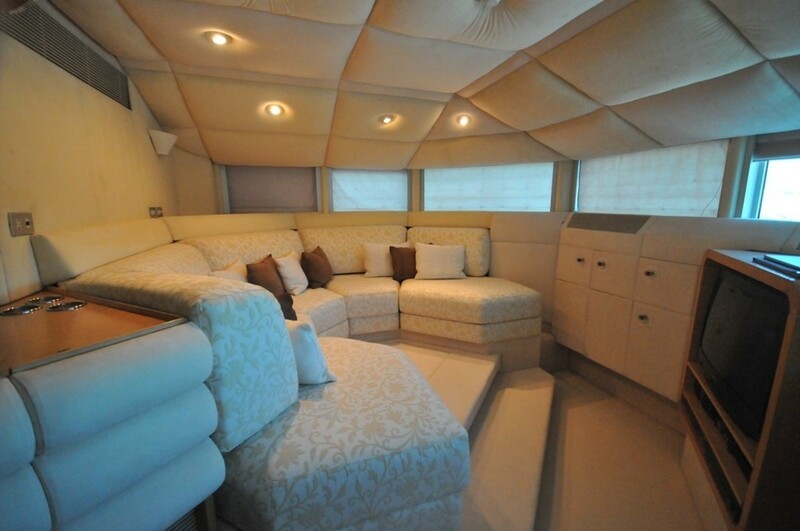 Apportioning bedding for a limit of 8 visiting passengers overnighting, the LIONWIND accommodates them in style. Under normal conditions she utilises approximately 9 able crew members to manage. 46.6 metres / 152.9 feet. The main engines are two 2700 HP / 1987 kW MTU. The Model type is 16V 538 TB82 diesel. Giving the combined power of 5400 HP /3974 KW. Approximate Cruise Speed is 19 knots. Mercedes 1 times 112 kilowatts, 1 times 53 kilowatts. Villa San Giovanni. Italy. Provincia di Reggio di Calabria. Calabria. Around Sept 2009 LIONWIND sailed to Villa San Giovanni, in Italy. 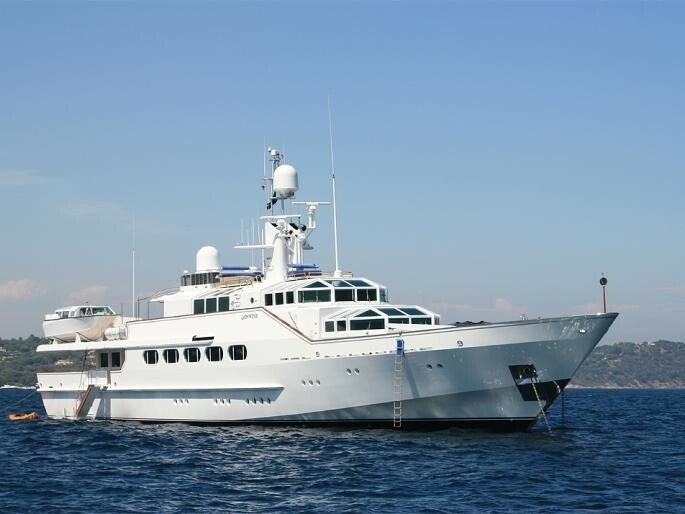 This motor yacht also navigated the location including Provincia di Reggio di Calabria during the month of October 2009. She has a teak deck. The luxury yacht LIONWIND displayed on this page is merely informational and she is not necessarily available for yacht charter or for sale, nor is she represented or marketed in anyway by CharterWorld. This web page and the superyacht information contained herein is not contractual. All yacht specifications and informations are displayed in good faith but CharterWorld does not warrant or assume any legal liability or responsibility for the current accuracy, completeness, validity, or usefulness of any superyacht information and/or images displayed. All boat information is subject to change without prior notice and may not be current.